Your body produces enzymes that help you digest your food. When you age, or when you have some disease such as pancreatitis, the enzyme levels can fall off, making it difficult for you to digest certain foods. This also can cause some physical problems such as pain and an upset stomach. If you have an intolerance to some types of foods, take an over-the-counter digestive enzyme supplement. These supplements, however, vary widely in contents and quality because they are not required to undergo clinical trials. The U.S. Food and Drug Administration does not regulate these supplements. Digestive enzyme supplements may cause certain side effects. Digestive enzyme supplements such as Miglitol may produce a rash on your skin when you begin using it. Categorized as a non-serious side effect, the rash may make you itch and cause you discomfort, but it should eventually resolve on its own without the intervention of a medical professional. If the rash spreads, does not end or appears severe, seek medical aid. As the digestive enzyme supplement works in your body, it may produce excess gas in your intestines, Drugs.com indicates. This also is a common symptom of a lack of proper digestive enzymes in your body in some cases. Flatulence may cause embarrassment, but it does not constitute a serious adverse reaction to the supplement. It should cease as you adjust to the use of digestive enzymes as a supplement. If it does not and it worries you, speak with a doctor about the problem. 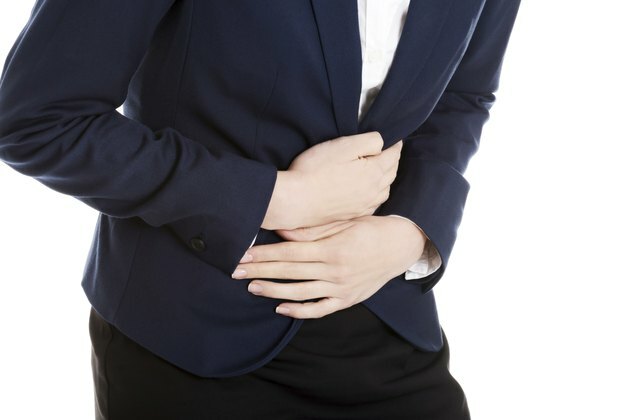 Some digestive enzyme supplements also can produce intestinal pain. If pain becomes severe and unbearable, discontinue use of the supplement. If pain lingers or is severe, seek your doctor's help as soon as you can. Digestive enzymes may work in either your stomach or in your bowels. In either situation, the infusion of these enzymes as a supplement may produce an imbalance of your system. You may get bouts of diarrhea as a result, especially when you begin taking the supplements. It should not last long, but if it does, see your doctor. Make certain you drink extra fluids during any bout of diarrhea to avoid becoming dehydrated, a common side effect of loose stools.